The Belarusian American entrepreneur, Gary Vaynerchuk has a heart for business. He joined his family business after graduating from college and has built an empire from it. He turned a company that was worth $3 million dollars into a $60 million dollar company in just five years. The business tycoon has been quite successful with his business deals despite all odds. The life for Gary Vaynerchuk from his early days was not all rosy as his family struggled from their early years. They subsequently gained balance with life and began the said liquor shop that has eventually grown to be known around the globe. The business tycoon runs his own podcast show and is also an author. Woah! When it comes to the facts about his life as an author, every serious business minded fella would have in one way or the other come across most of his books. There are much more overwhelming facts about this man, so, read on to find out more. The business tycoon is one of the three known children belonging to Tamara Vaynerchuk (mother) and Sasha Vaynerchuk (father). He was born on the 14th of November, 1975 in Babruysk, Byelorussian SSR, Soviet Union. His siblings are Liz Vaynerchuk and AJ Vaynerchuk. Gary Vaynerchuk had his formative years in Queens where his family took shelter in a studio apartment. In the later years, the Vaynerchuk’s subsequently moved to New Jersey. The business Tycoon finished his formal education at North Hunterdon High School before proceeding to Mount Ida College where he bagged a degree. Upon graduation from college, he moved on to join the family liquor business. Having had knowledge in school, Gary’s way of handling his family business was quite different. After he joined the business, he rebranded and restructured most of the affairs in the organization. First, he changed the business name from Shopper’s Discount Liquors to Wine library, then, he took the business to social media and created a YouTube Channel in the business name and basically reviews different wines on the channel. Also, he created an online sales platform for the shop taking a huge step into growing the business in the e-commerce industry. With all his contributions to the business, Wine library grew from a $3 million dollar to a $60 million dollars worth company just within five years Gary Vaynerchuk made the drastic change. In the subsequent years, the business guru moved on to his own very digital agency platform; VaynerMedia. Ever since the creation of the media house, it has been quite successful, holding over 600 employees and grossing over $90 million yearly. Moreso, Gary Vaynerchuk also runs a Wine Library TV and serves as a public speaker and author. Some of his books include Crush It! 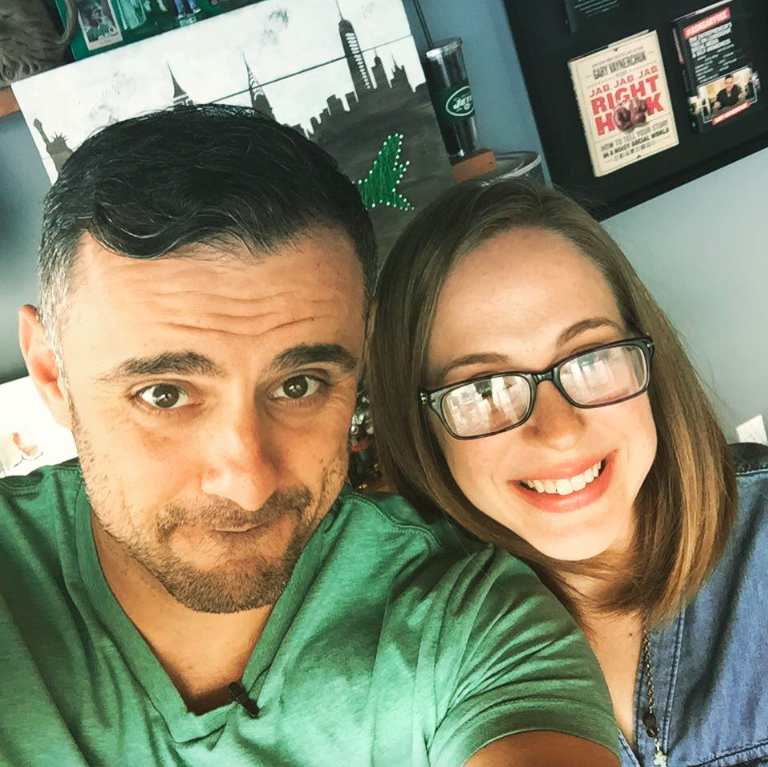 Why Now is the Time to Cash in on your Passion, Thank You Economy, Jab, Jab, Jab, Right Hook: How to Tell Your Story in a Noisy Social World, and AskGaryVee: One Entrepreneur’s Take on Leadership, Social Media, and Self-Awareness. Gary’s mindset for business is overwhelming. He is endowed with so many business ideas and has put most of them into practice. Even as a business tycoon, he has managed to run his organizations despite the changes in the economy. As a writer, he has been named four times Newyork best selling author and of course, he would definitely be paid for his several shows as a public speaker. His net worth of $160 million is proof that his hard work has paid off. Gary Vaynerchuk got married a few years after he graduated from college. We wouldn’t be totally wrong to say that he is a quite fulfilled young man. His marriage with Lizzie Vaynerchuk in 2004 has been peaceful with no iota of controversies or divorce. Together, they share two lovely children. A son; Xander Avi who was born in 2012 and daughter; Misha Eva Vaynerchuk in 2009. The family currently reside somewhere in New York. Gary Vaynerchuk stands at 5 feet 7 inches while carrying a balanced weight of 67kg. He wears his dark hair short and has a pair of brown dazzling eyes. Other details of his body measurements are not yet available.